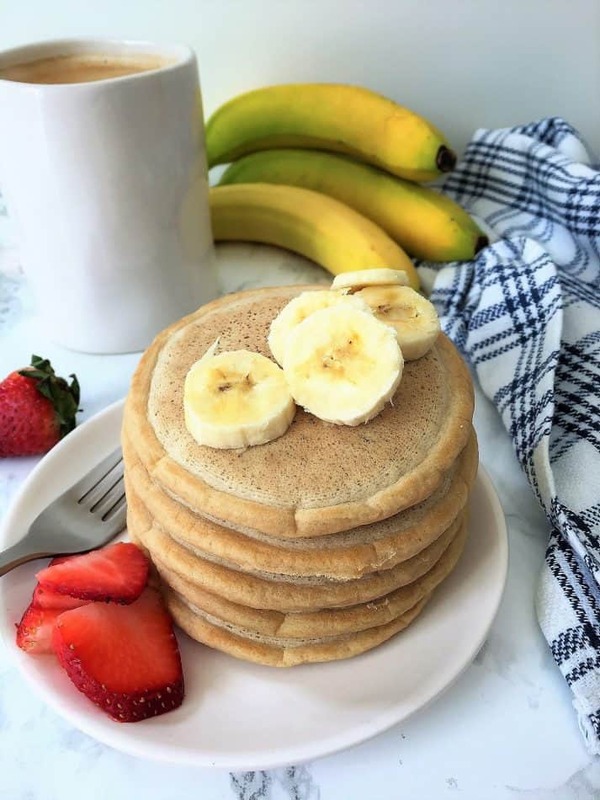 Looking for the easiest, fluffiest vegan pancakes ever? You found them! This recipe is so easy, using only 5 ingredients, 5 minutes to prep and just one bowl! Plus, they’re absolutely SCRUMPTIOUS! 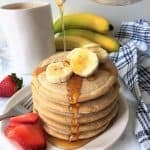 How do you make the easiest fluffiest vegan pancakes ever? Grab a bowl, toss in your flour, baking powder and coconut sugar and whisk to combine. Then add your plant milk and vanilla and mix again. Batter complete! It couldn’t get any easier than this. 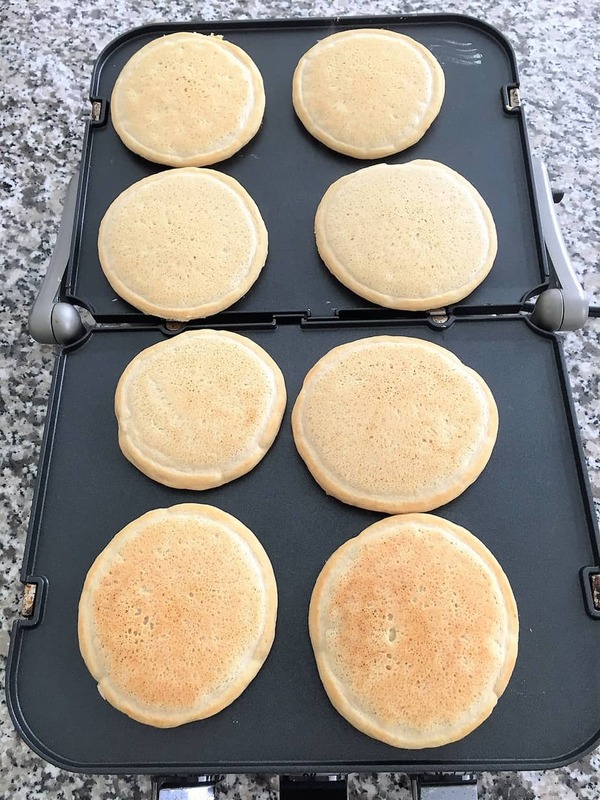 Once your griddle is nice and hot, ladle your batter over top and cook your pancakes until you have several bubbles over top. Usually 4-5 minutes. Then flip and cook the other side. So simple, so delicious! These super fluffy pancakes are allergen friendly by omitting eggs and dairy. Plus they happen to be vegan, although my niece (one of my favourite taste testers) looked at them and said, “They look too good to be vegan”. HA! 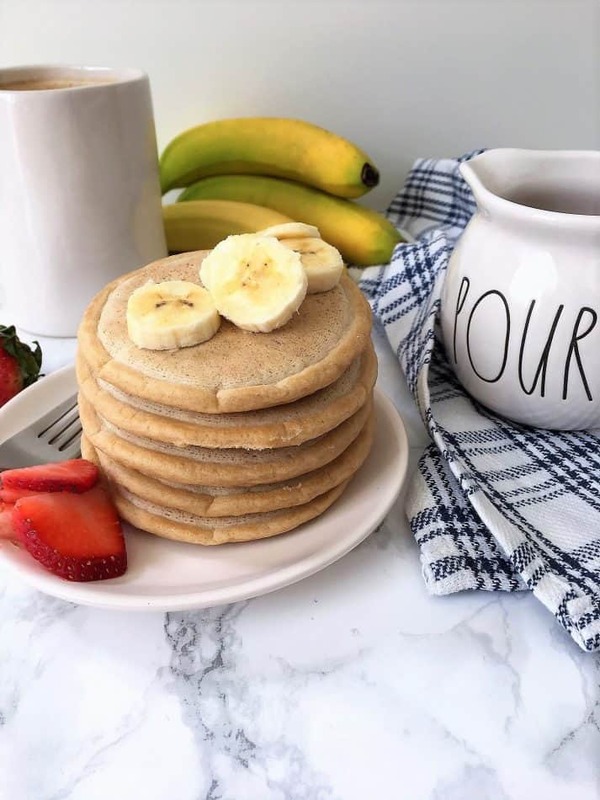 Not only are these pancakes vegan, but they’re also oil free and refined sugar free and very low in unrefined sugar. Using only one tablespoon of unrefined coconut sugar in the entire batch! So if you’re avoiding sugar, but still want delicious pancakes, these are the ones for you. Just load them up with fresh fruit and enjoy. Or, if you do have a sweet tooth, feel free to top these beauties off with some delicious maple syrup as well. Then grab your fork and dig right in! 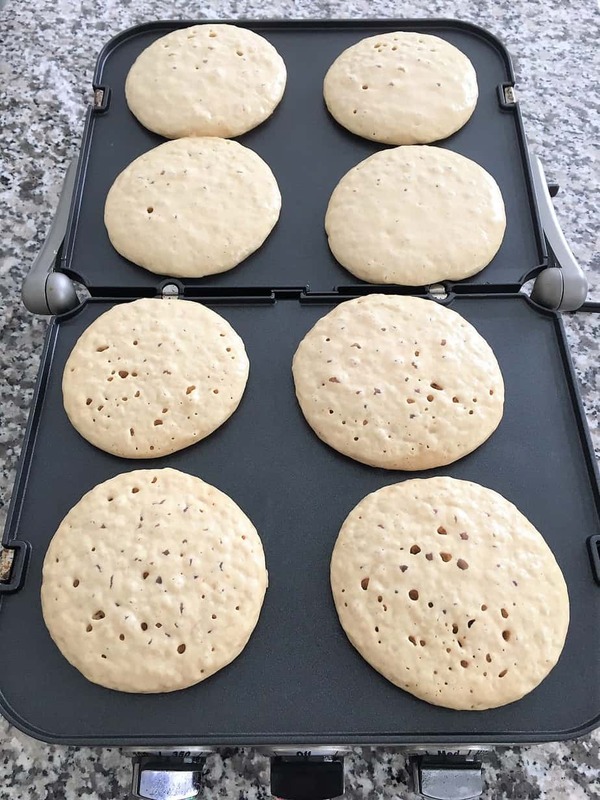 These pancakes will definitely impress the entire family, and I guarantee that no one will ever guess they are vegan! Want more vegan pancakes? Try these! 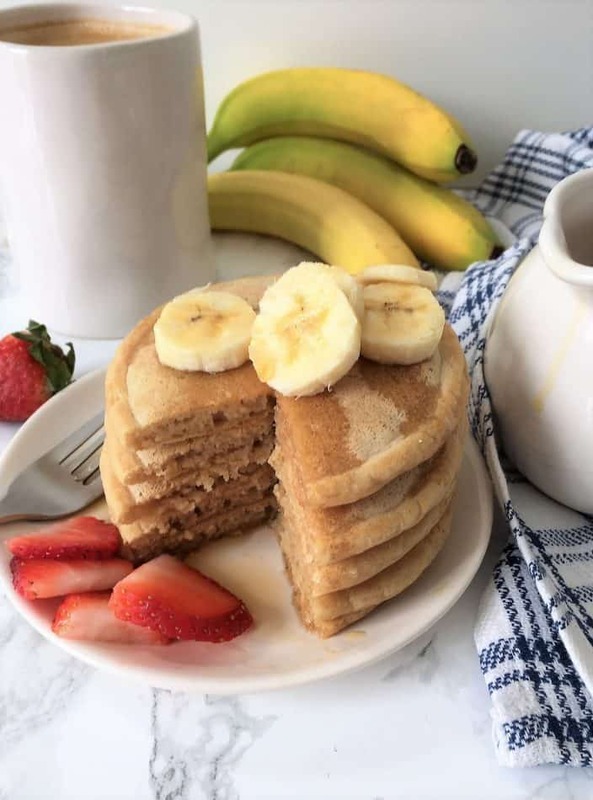 The fluffiest vegan pancakes can be on your plate in no time with this super easy, 5 ingredient recipe. One bowl, so much YUM! Add the flour, sugar and baking powder to a large bowl and whisk to combine. Then add the milk and vanilla and mix well. 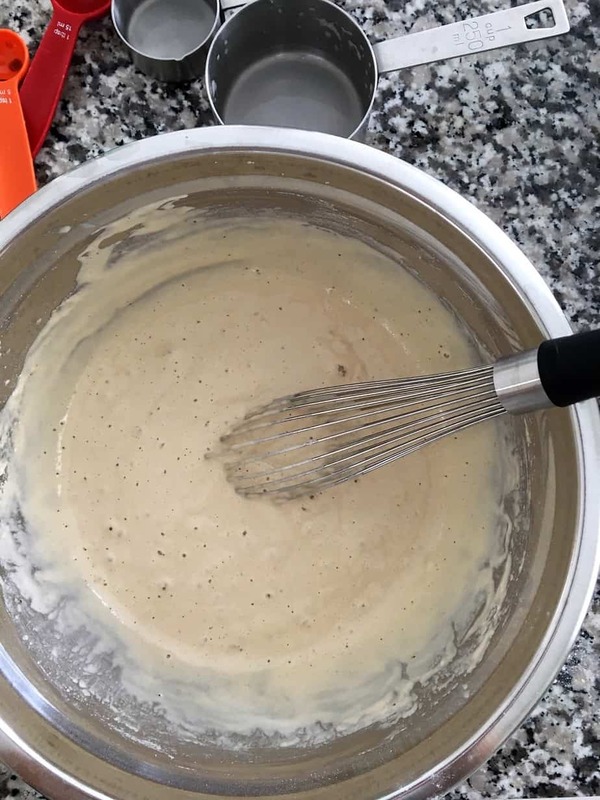 Heat your non stick griddle over high heat and once hot, ladle your batter to make roughly 4" pancakes. Cook for about 4-5 minutes until there's several bubbles formed on top. Then flip and cook the other side for another 3-5 minutes until cooked through. Serve with maple syrup or fresh fruit and enjoy. Tried these today for dinner (yes dinner haha) and the entire family loved them! They really were easy to make and so tasty and fluffy. Thank you!!!!!! Just made these over the weekend and they really are the fluffiest pancakes! My family devoured them in no time and asked when I’ll be making them again. Thanks so much for this easy, delicious recipe Rosa! Haha my kids said these taste too good to be vegan 🌱 😋 Thank you for this excellent simple and delicious, cruelty-free recipe! This recipe is just perfect! It’s so easy and I love how fluffy these are! Will be making them again and again! These are a great breakfast treat. I love that they are vegan, oil and refined sugar free! Means I can make them when I have my vegan friend over! Thanks for the feedback Jacqueline. Love that these are vegan and refined sugar-free! So perfect for Sunday morning breakfast! 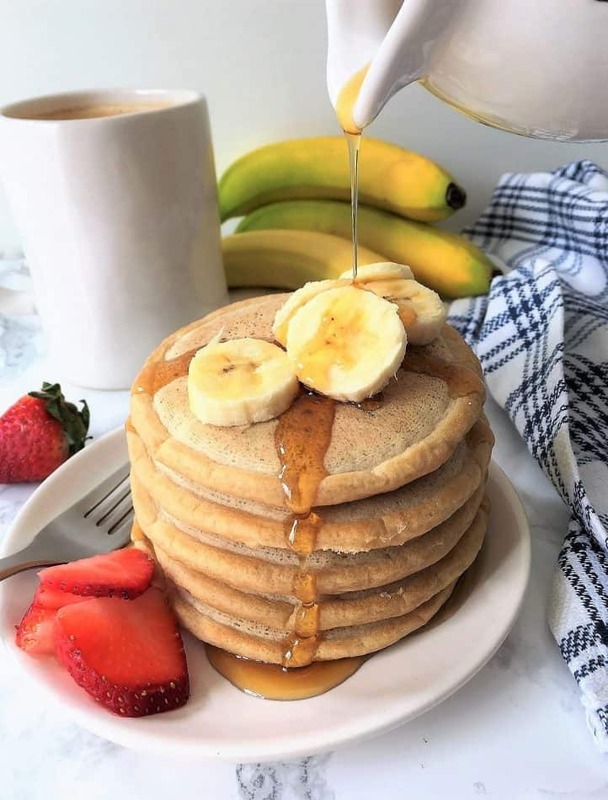 Those pancakes look amazing, we love some pancakes for breakfast! I love that they’re vegan too! This is my kids’ new favorite breakfast!